The New Ultima tree could be your solution this holiday season. 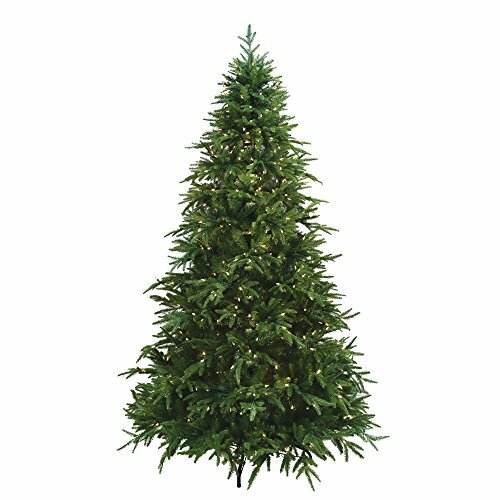 The Ultima tree is a booming 7.5 feet tall with 3280 tips and 680 dual-color multi-function LED lights. With structure made smarter, effortlessly assemble your tree with the nine multi-sectioned light-weight pieces. The Ultima is equipped with a foot pedal for easy transition clear and multi-color light patterns. The row-by-row assembly makes fluffing easier this season. Clean up the wires with each branch equipped with its own light set providing for stress-free replacement. The bonus center pole LEDs will add depth and glow. Plus, store your tree easier than ever before with our Wrap & Strap storage system and convenient Transtorable storage box. The Ultima offers durable 30% glass-filled plastic branch hubs to ensure long life. Backed by an industry-shattering 10-year warranty, keep your tree looking fresh season after season.